School searching in Savannah? A comprehensive way to get to know a school is to attend a school open house for prospective families. Open house @ Savannah Christian Preparatory School, 9:30AM Wed. Oct. 24 2018. Registration details here. Taste & Tour Open House @ Blessed Sacrament School, Savannah, 6-7:30PM Wed. Oct. 24 2018. Cocktails+Tours+Conversation. Details here. Open house @ St. Andrew’s School, Wilmington Is., 9AM Thurs. Nov. 1 2018. Registration details here. Open house @ Benedictine Military School, Savannah, 2PM Sun. Nov. 4 2018. Registration details here. Open house @ Calvary Day School, Savannah, 2-4PM Sun. Nov. 4 2018. Registration details here. Open House @ The Habersham School, 9AM Fri. Nov. 9. Early Childhood (PreK3-2nd grade) open house @ Gould Cottage Campus. Details here. 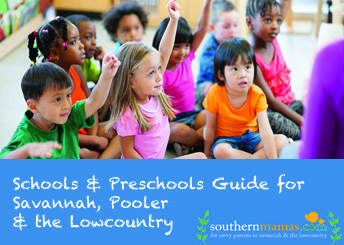 Open house @ Savannah Country Day School, Savannah, 1:30PM. Sun. Nov. 11 2018. Registration details here. Parent Informational Coffee & Campus Tour @ Savannah Country Day School, 9:30AM Wed. Nov. 14. Informational coffees & campus tours are small group events where parents spend time in Savannah Country Day School classrooms & explore the 65-acre campus. Details here. Open house @ Veritas Academy, 9-11AM Thurs. Nov. 15 2018. Details here. This entry was posted on Wednesday, September 19th, 2018 at 10:00 am	and is filed under Benedictine Military School, Blessed Sacrament Catholic School, Calvary Day School, Development/Education, Pre-K Programs, Pre-schools/Mother's Morning Out, Schools/Childcare, St. Andrew's School. You can follow any responses to this entry through the RSS 2.0 feed. Both comments and pings are currently closed.